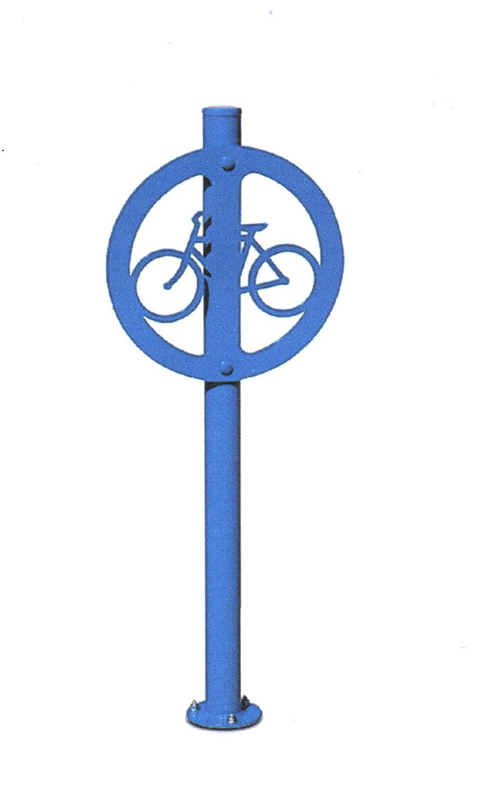 Our Upright bike rack offers a modern look to bicycle parking. Laser cut sign post is space saving and internationally recognized. Rack is available with 5″rd.steel surface mounting plate only.